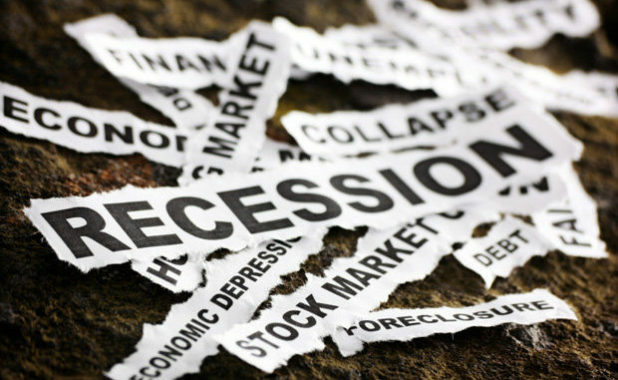 The National Bureau of Statistics (NBS) of Nigeria released official Gross Domestic Product (GDP) figures for the second quarter of 2016 on Wednesday, confirming that the Nigerian economy is in recession. According to the statistics released, the GDP contracted by 2.06 percent in the second quarter of 2016, following a contraction of 0.36 percent in the first quarter. This officially places Nigeria in a recession, which is defined by two or more consecutive quarters of negative economic growth. The NBS released official Gross Domestic Product (GDP) figures for the second quarter of 2016 on Wednesday, confirming that the Nigerian economy is in recession. This news, which was not unexpected, follows mounting criticism of President Muhammadu Buhari’s ability to manage the economy. Everyday Nigerians are struggling with the cost of basic amenities as prices soar and the value of the naira depreciates compared to the US dollar. “In the Second Quarter of 2016, the nation’s Gross Domestic Product (GDP) declined by -2.06% (year-on-year) in real terms,” the NBS report stated. This rapid decline in growth marks the worst recession Nigeria has experienced since the Ibrahim Babangida regime, when the economy declined by 0.51 percent and 0.82 percent in two consecutive quarters in 1987. The NBS report also revealed that Nigeria’s unemployment rate in the formal sector rose from 12.1 percent in the first quarter of 2016 to a staggering 13.3 percent in the second. This statistic, however, is separate from informal workers and economic activities in Nigeria’s vast black market which is also experiences pains from inflation and rise in the cost of basic goods. “In view of this, there were a total of 26.06 million persons in the Nigerian labour force in Q2 2016 that were either unemployed or underemployed compared to 24.5 million in Q1 2016 and 22.6 million in Q4 2015,” the report reads. The report revealed that 15.4 million Nigerians are currently underemployed, meaning that they are working either part-time jobs or are working jobs for which they are overqualified. Nigeria’s poor economic performance can be in part attributed to a decline in oil revenues, as the oil sector experienced a decline of 17.48 percent in the second quarter. Adeyemi Dipeolu, the Special Adviser to the President on Economic Matters, confirmed that the economy is in a decline, but believes that there are indicators that the economy will improve in the second half of the year. The agricultural sector, he emphasized, experienced a 4.53 percent growth rate for the quarter, up from a 3.09 percent growth rate in the first quarters. Similarly, the solid minerals sector has grown by 2.5 percent, offering hope for recovery. Mr. Dipeolu added that despite the recession, the Nigerian economy is performing better than the International Monetary Fund had earlier predicted.